New Jersey Footlights: Dreamcatcher: 20th Anniversary Gala Saturday! Dreamcatcher: 20th Anniversary Gala Saturday! Come celebrate Dreamcatcher's 20th Anniversary on Saturday, March 7! We'll be gathering at Oakes Center to enjoy an evening of delicious food and captivating company. We'll also share our favorite brand of unique entertainment, as the acting ensemble re-enacts twenty years of Dreamcatcher's history before dessert is served. 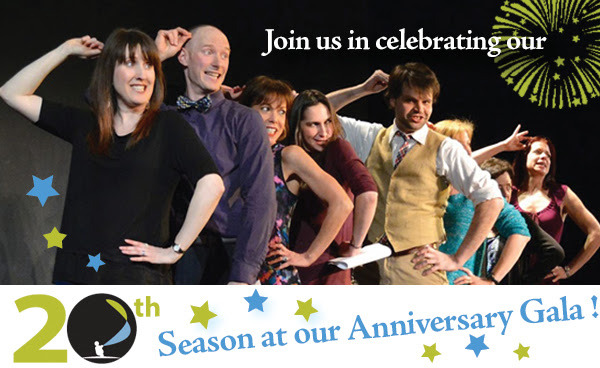 "Dreamcatcher Repertory Theatre: The First 20 Years"
Check out on Facebook pictures from previous Galas and then come be part of this very special one. Mi Casa Tu Casa, a bilingual blend of music and folktales for the entire family, is a part of the 2015 New Jersey Theatre Alliance's Stages Festival. Musicians and storytellers are your guides on this journey through time, place, and imagination. Mi Casa Tu Casa offers favorite tales and songs in an hour-long show that celebrates joy and magic found throughout the year.